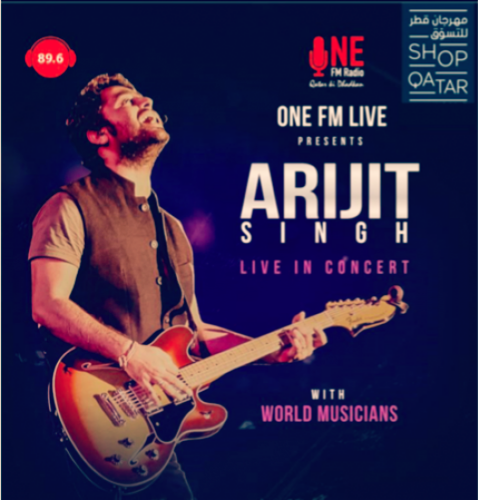 ONE FM live in association with Shop Qatar presents Arijit Singh Live in Qatar with world musicians. Doha gets ready to experience an audio-visual experience like never before. 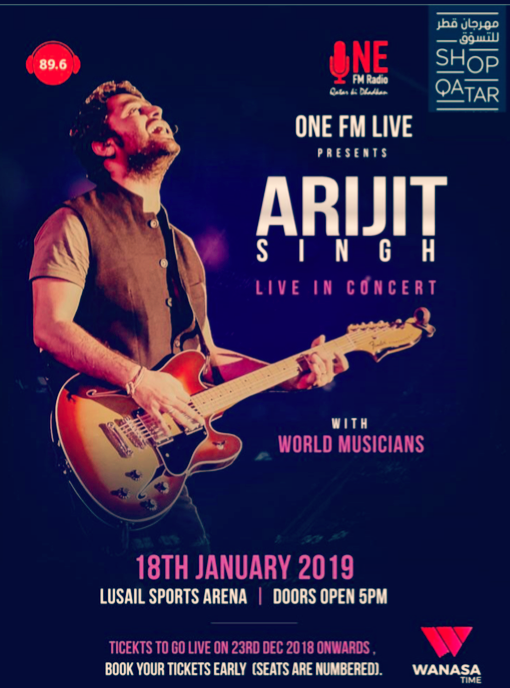 Book your tickets soon and get your favorite seats.Doors open 5pm. Diamond( Actual price - 750 QAR --Early bird offer - 600 QAR) till January 1st 2019 Hurry up..!! Platinum ( Actual price - 1250 QAR -- Early bird offer - 1050 QAR) till January 1st 2019 Hurry up..!! !